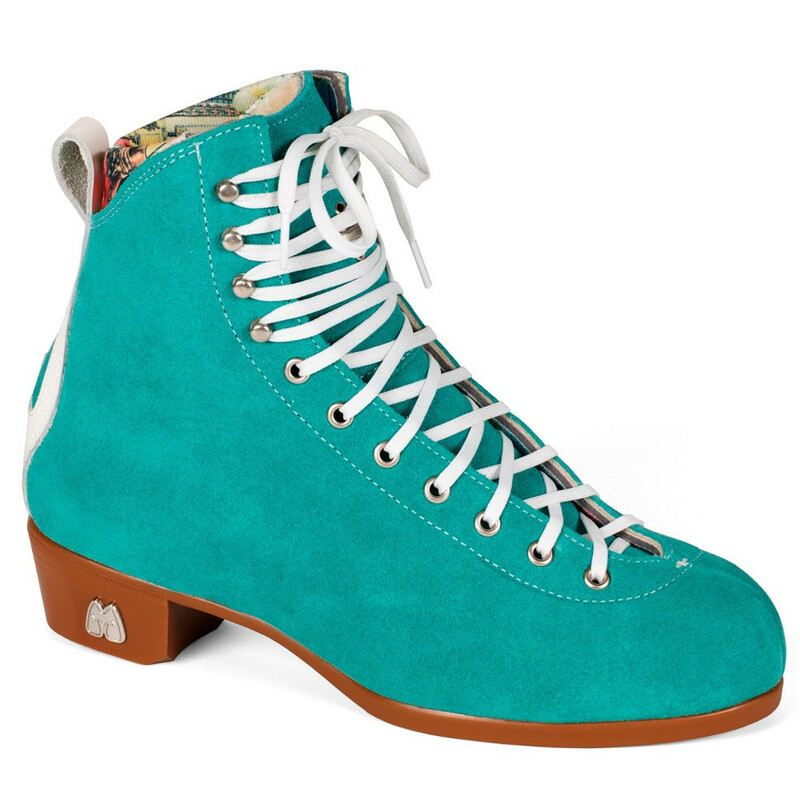 The Moxi Jack combines classic roller skate design with modern materials and features to create a high-performance boot designed to withstand the stresses of ramp, park and aggressive street skating. 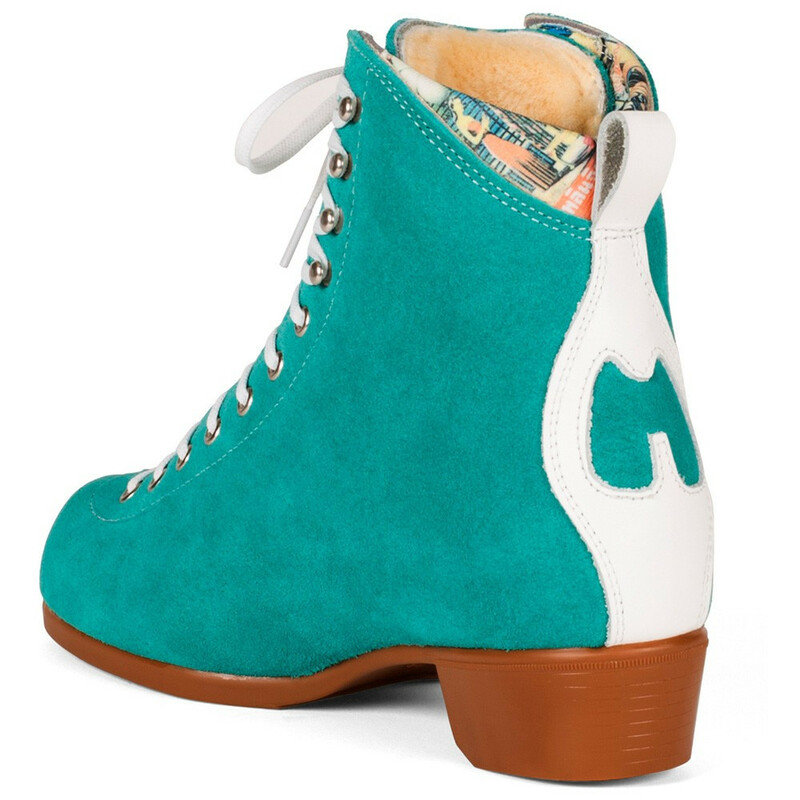 The rich Jade suede upper is backed throughout for additional support in all directions. Ankle padding and a soft, genuine Shearling tongue lining make the Jack as comfortable as it is strong, and a lace bar stabilizer helps prevent unwanted tongue rotation while skating. 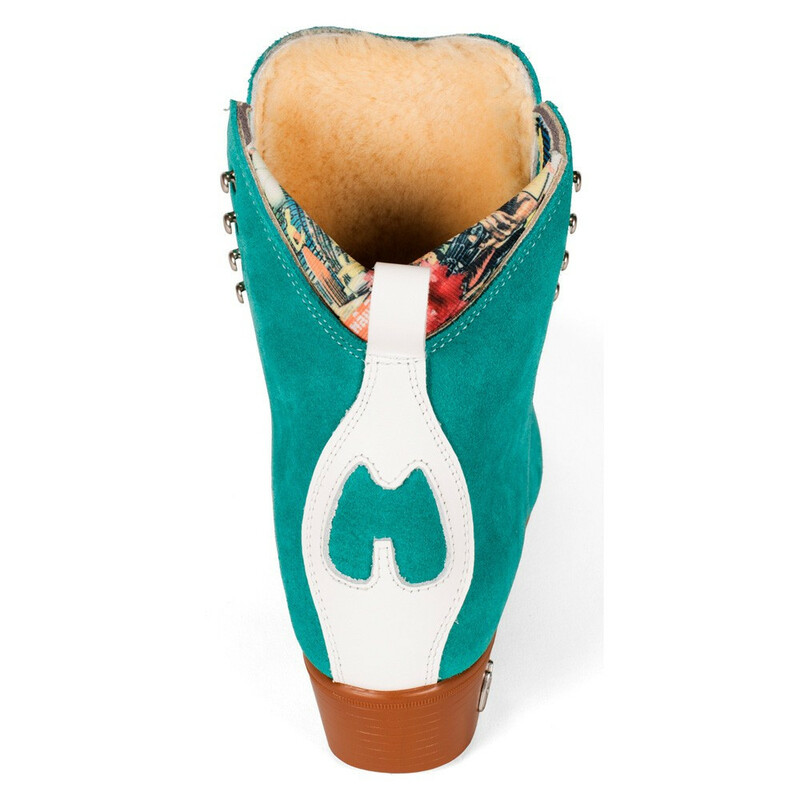 Thoughtful touches such as solid metal hooks, wax-infused laces and a unique backstay design featuring the signature Moxi “M” round out the Jack and ensure that no detail is overlooked. Stiff and supportive, approximately 10 hours of break-in time is recommended to form the Jack to the shape and contours of your movements.